You should visit Ongna and Kabra caves if you are interested in rock paintings, prehistoric art of India, offbeat places, ancient legends or stories of aliens in India. 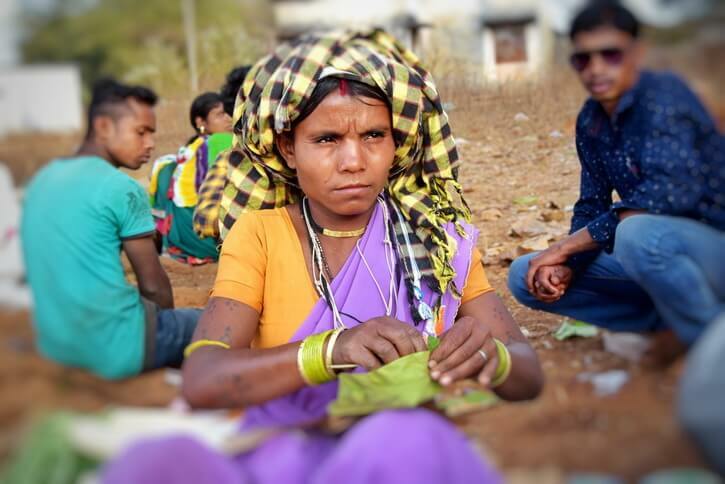 The state of Chhattisgarh, in Central India, is a paradise for ethno travellers, but also for lovers of history, prehistory… and alien drawings. His Holiness the 14th Dalai Lama regularly comes to meditate at Sirpur, an important Buddhist site near the capital, Raipur. 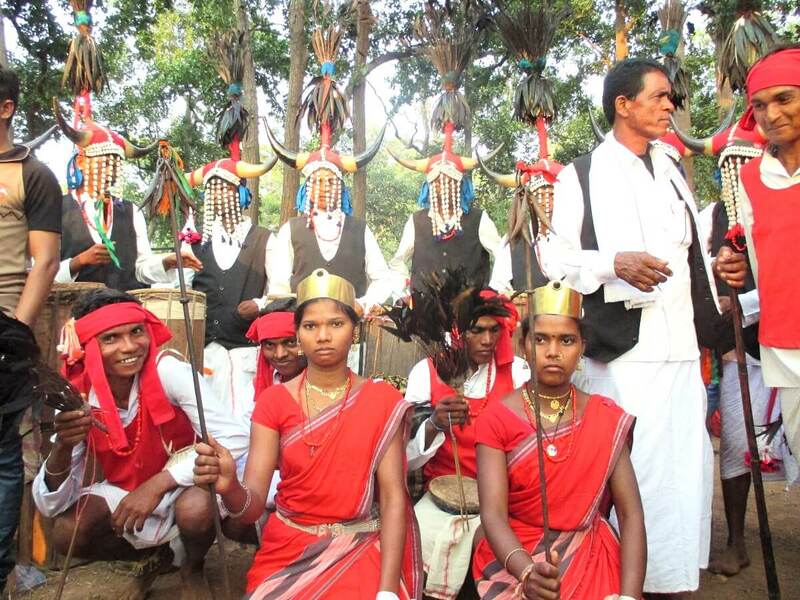 Dandakaranya, a sacred land of Hinduism and setting of the famous mythological epic The Ramâyana, is located in the district of Bastar. 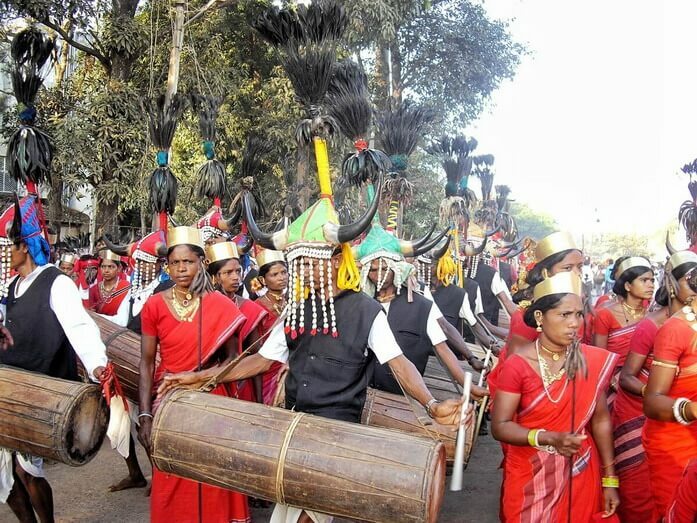 It is in this district that the longest festival in the world, Bastar Dussehra, is celebrated with the Maharaja and the Tribes. Religious rituals and animist lifestyles still occupy a prominent place in this part of India, which I think is the most fascinating part of the country. In Chhattisgarh, we can also trace the origins of the local Tribes, through several prehistoric caves and their painted rocks. Today, I introduce you a friend of mine, from the north of the state, Debayan Sarkhel. Living in Raigarh, he enjoys exploring some of the little-known places in the area. He will tell us the story of two prehistoric sites near Raigarh, Ongna and Kabra, and their rock paintings. The pictures you will see, although of poor quality, are exceptional in their rarity. If you do a Google search, you’ll find a few sites that present them and I really thank Debayan for this privilege. 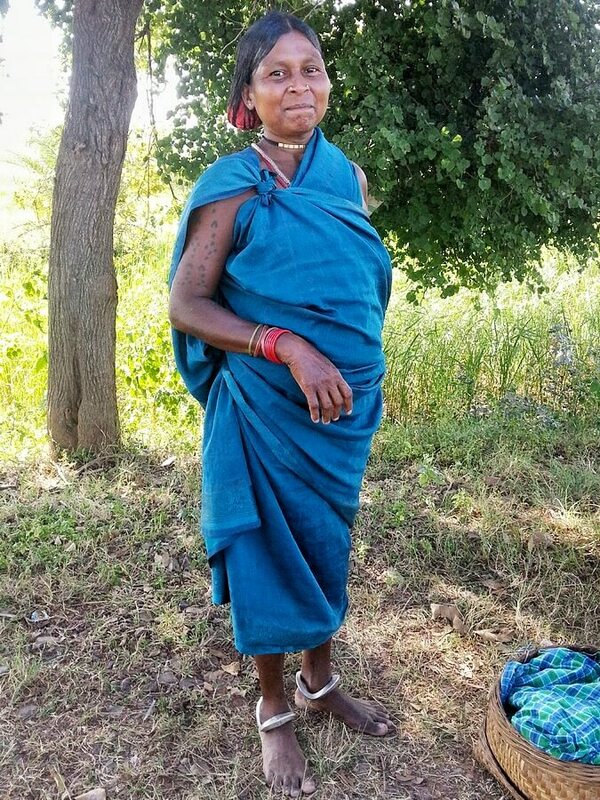 At the end of the article, I share with you three photos of the current tribal culture. Their similarity to some of Debayan’s photos is striking. Raigarh region in Indian Chhatisgarh. 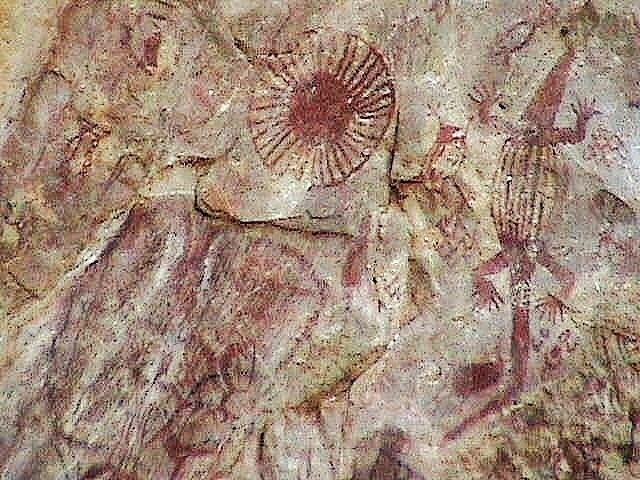 The prehistoric paintings of Ongna cave. How to get to the cave of Ongna? What to see in the Kabra cave? How to get to the Kabra caves? Budget hotels and 3 stars hotels in Raigarh. Receive the checklist to organise your next independent trip and travel closer to the people. It’s free! Raigarh is one of the industrial cities in the Indian state of Chhattisgarh. It has a rich cultural heritage and attractive natural diversity. It is just as interesting for its human and natural resources. 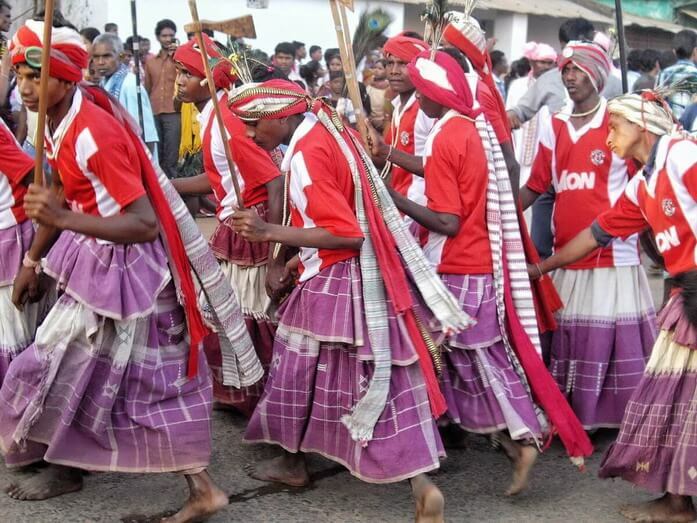 This tribal-dominated area, located in the eastern part of Chhattisgarh, is blessed by nature. 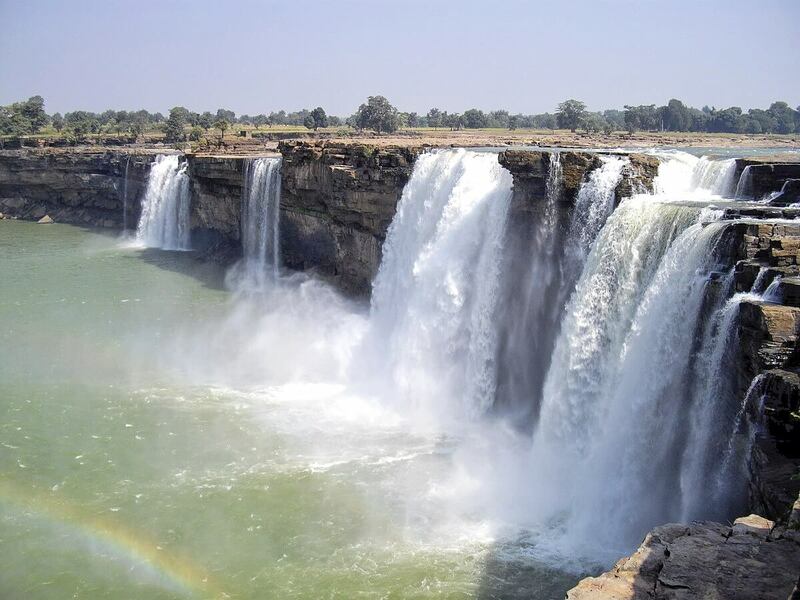 With its lush green forests, wild rivers and enchanting waterfalls, Raigarh is fast becoming a major tourist attraction. There are many rare wildlife species, palaces, forests, caves, rock paintings and hills. Most of these sites are untouched and unexplored and offer a unique and alternative experience for tourists compared to traditional destinations that have become overcrowded. Its natural resources in minerals, energy, forests, water and land are among the richest in the country. Beyond that, it would not be appropriate if I did not talk about people. Here, people are simple, trustworthy, honest and helpful in all aspects. The benefits of discovering intact humanity and natural resources are equivalent, a place where history meets modernity. It is one of the safest and most peaceful places in India. (Stephanie would even say that it looks very much like a mini-paradise). It is also a goldmine for archaeologists! 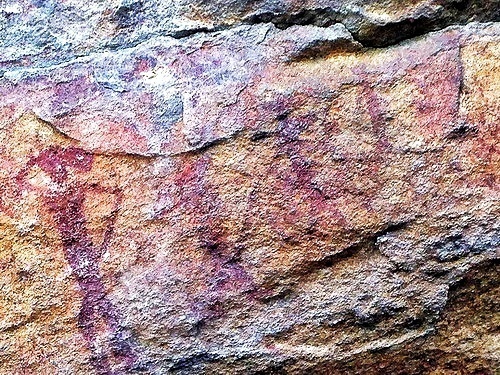 There are many places in Raigarh and around the district, where there are caves and painted rocks from prehistoric times, most of them dating from the Palaeolithic period. The paintings are almost unexplored and little exposed to the world. However, many rock art sites have not been properly discovered and preserved. The region has proliferated under the influence of cultural heritage, monuments, parietal art sites and archaeological antiquities. 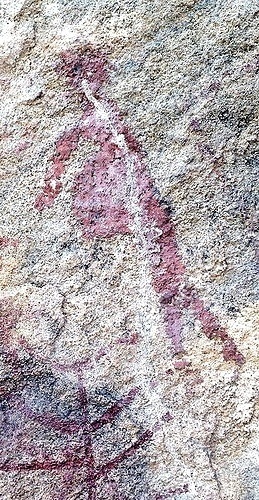 The presence of prehistoric painted caves indicates that the area was inhabited very early, and has a continuous cultural tradition. The English discovered these paintings in the early 20th century and began to document them. The cave of Ongna (Likhamada) is one of the caves I visited first. I will try to provide you with small details with photographs I took during my visit. Everyone should enjoy the experience of walking through lush forests and trails, full of the noisy sounds of known and unknown birds, and the silence of nature to get to the cave. 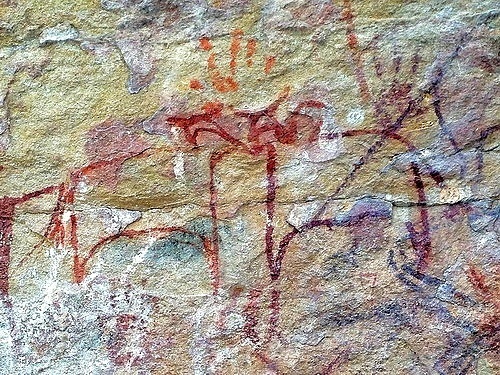 Looking at the paintings, you will wonder how, around 10,000 to 15,000 BC, prehistoric mankind drew such works of art. However, I could not find the exact date. ¤ Prehistoric human hand impressions. ¤ Geometrical human figures with and without decorated headdress. ¤ A few characters resembling aliens. ¤ A character resembling a pregnant woman. 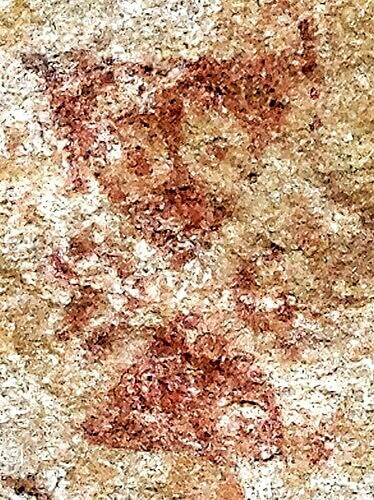 I was fascinated by this one because I have never heard of prehistoric paintings of pregnant women elsewhere. New paintings have been painted above the old ones, showing that generations have succeeded one another to express their creativity. 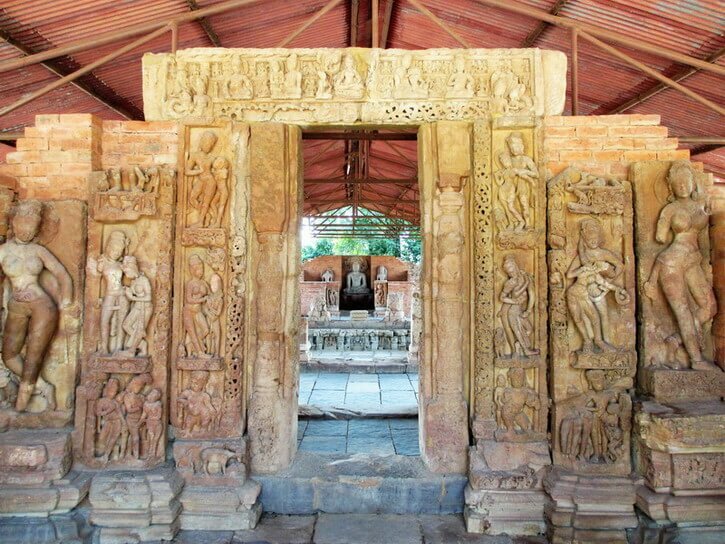 The cave of Ongna is about 70 km from the town of Raigarh, easily accessible by a motorway. Then you have to walk about one kilometre through the vegetation and rocks. I recommend you the help of a local. Otherwise, it will be difficult to locate the cave behind the trees and forks. This will also give you access to local legends. The village elders told me that their ancestors have been coming down from the sky here every night for thousands of years. Rent a taxi from Raigarh. Follow the Ambikapur motorway (Lailunga Road), State Highway 1AB. Go to Gharghoda, then follow the direction of Dharamjaygarh. Just before entering Dharamjaygarh, turn right in the direction of Behari Dhaba. Ongna is about 7 kms after the bifurcation. How beautifully Tagore has expressed the sentiment of the human. We are often interested in visiting far off places but not the nearest one. Inspired by the great Poet, I visited, in last winter, a very little explored place near to Raigarh (my place of present residence), in the Chhattisgarh State of India where the footprints of prehistoric civilisations are scattered around the city in abundance. One of such places, where I visited, was Kabra Pahad (Kabra Hill) just around 10 KM from the heart of city Raigarh. 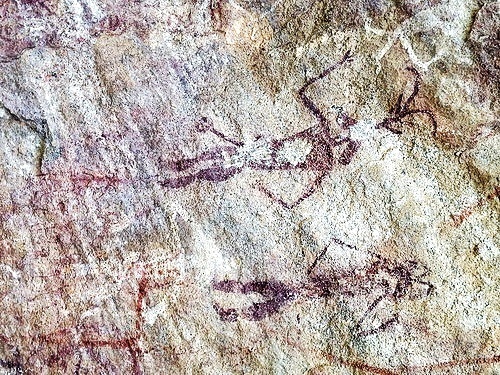 The prehistoric paintings are more than ten-thousand-year-old. You will be astonished to see such beautiful drawings of prehistoric age at a place near to an Industrial city. The place is surrounded with Trees, Greens, and the complete silence will make you speechless. Surprisingly you will hardly find any visitor here. Kabra is situated around 10 KM South-East of Raigarh. Its height is about 100 ft. and width 50 ft. The Kabra Pahar paintings was first recorded by Colonel D H Gordon in 1939. ¤ other animals – resembling deer, pig, etc. ¤ Lizard – the form is not as we see it now. It proves the changes over time. ¤ Chakra – a perfect circle. How did they do it by hand? Is that a flying saucer? ¤ Geometric figures – Alien drawings? ¤ Trees – Not familiar. Is it to worship them? I also saw some pieces of stone with a sharp edge, resembling weapons from people of the Stone Age. The villagers make offerings to the stones. The torso of the outline figures is decorated with straight, zigzag or horizontal lines. The techniques of paintings are not so complicated. Every artist should have either used wet colour or dry colours paste. The Stone Age man has painted many aspects regarding the social, cultural, economical, religious and ritualistic, pertaining to his life on the bare and uneven rock surface. The surfaces have been formed naturally over a period of time. The depictions of contemporary flora fauna and domestic activities have also found in these paintings. The paintings which are in a better state of preservation are made in red ochre. The colour of the paintings is still bright even after thousands of years. However, the damages made due to the scratching and writing by vandals on the paintings is a matter of great concern and something must be done immediately to avoid more such damages. I had a very interesting discussion with villagers. There are several beliefs among locals in these villages. While few worship the paintings, others narrate stories they have heard from ancestors about people landed from the sky and taught their ancestors about the importance of nature, animals and much more with these drawings & paintings. The aliens would have drawned these paintings representing aliens and UFOs. And that is the reason why the colour of the paintings would still be bright. You can rent a cab at Raigarh. You have to travel around 10-15 KM from the city to reach the place. The name of Kabra Hill is not so well known to common people, hence you better ask the driver to drive towards Loing (Village). Around 1 KM before from Loing market, you have to turn right and cross the village Vishwanath Pali. It is better you take a local as a guide from this village since there is no signboard or direction for the location. The locals are very friendly and ready to help. You can reach up to hill foot by cab; from here you have to walk around 2 KM. The walkway is through trees offering some awesome views. You will feel the total silence of nature. The way is little stiff but nature will give you immense energy to overcome. The zigzag nature gives you a feeling that you are walking on the path of prehistoric age people. And suddenly the breathtaking paintings will appear in front of you. Airport: The nearest airport is Raipur which is about 290 km from Raigarh. Either you can come by road or by train from Raipur. There are 18 trains between Raipur and Raigarh. Railway station: Raigarh is well connected to the railroad. It is one of the main stations on the Mumbai-Howrah line. For your flights, I advise you to choose the Gulf airlines, which are always a guarantee of excellent value for money, especially Qatar Airways. Check the availability and prices here. There are many budget hotels available in Raigarh, in addition to 3 Star hotels. The market is quite good and almost everything is available. Check the availability and prices on Agoda, the best website for Asian hotels. A few months after writing his article, Debayan informed me that the government decided to protect and preserve the rock paintings of Chhattisgarh. Excellent news because new graffiti had appeared on it. As far as I am concerned, some paintings have fascinated me particularly. The photo with the first person who seems to be wearing the bun on the side, like some tribes still today. Tribal people wearing the bun on the side or alien drawings? See below the current equivalent. The 4th photo, with a headdress that resembles strongly the one worn by the men of the Muria or Bison Horn Maria tribe. 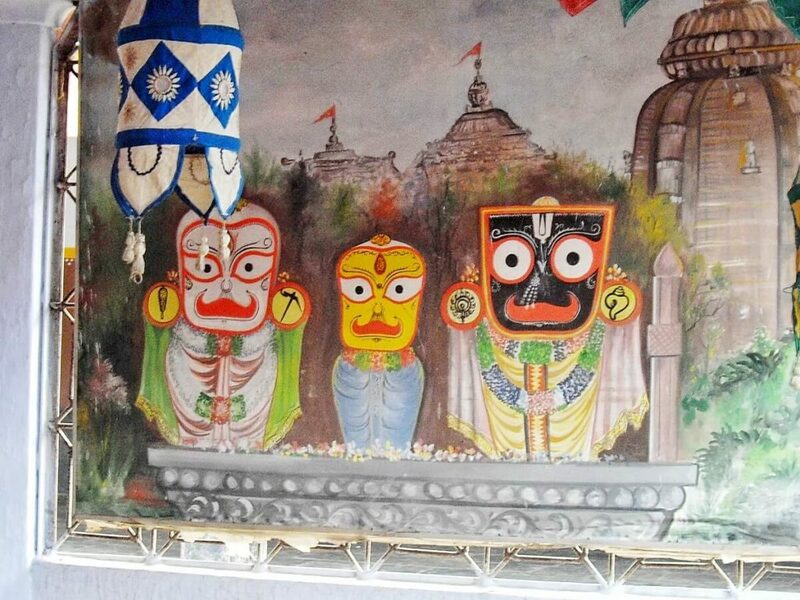 The photograph labeled “alien” reminds me, with its big round eyes, of the representation of the God Jagannath, particularly honoured in the neighboring state of Orissa (Odisha). Alien drawings or Jagannath God? 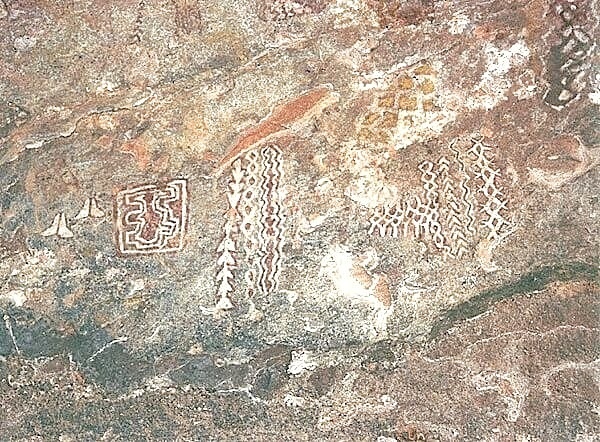 In 2014, The Times of India created a buzz with its article “10,000-year-old rock paintings depicting aliens and UFOs found in Chhattisgarh”. 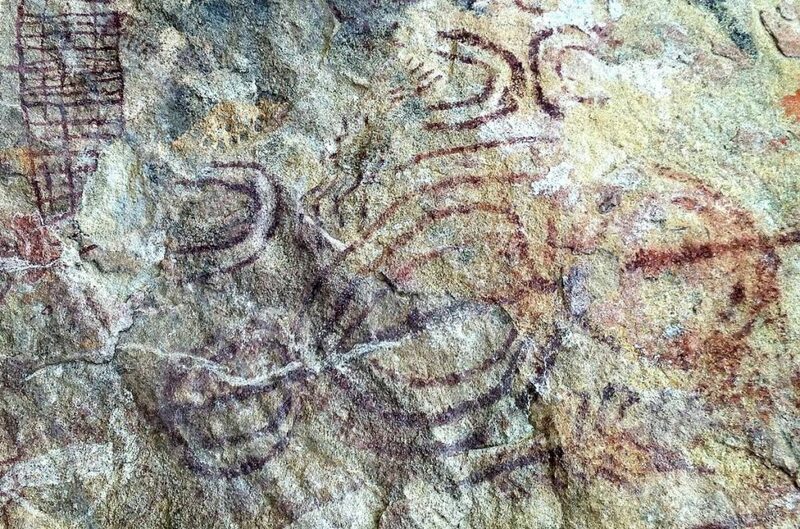 It was talking about some of the cave paintings of Chhattisgarh and an Indian archaeologist seriously declared it was made by aliens and represented aliens and UFOs. Nasa and ISRO should even investigate the case. But the theory became viral and is regularly relay by the amateurs of ufology. Do you believe in alien drawings’ theory? Do you have another interpretation? What do you think about the similarities I’ve found? Use the comments below to send us your feedback! I thank Stephanie Langlet (from Ethno Travels) for encouraging me to write my first article. Without her encouragement, it would have been impossible for me to write. Debayan Sarkhel is from India. An Engineer by profession, he’s working in one of the major Power Producing companies in India. Married and blessed with a daughter. His daughter has completed MBA in adventure Tourism from Indian Institute Of Travel & Tourism Management and now attached with Intrepid, posted at Delhi.